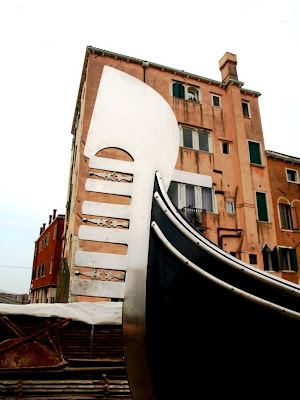 The Gondola Blog: Just the Photo - "Ferro sul Edificio"
Anyone wanna guess where this was taken? The photo is from Squero San Trovaso, the house in the background is on the corner of Rio San Trovaso and Rio Ognisanti, in Dorsoduro. Well, I must say that I'm impressed, René. I figured someone would get San Trovaso, not only from the buildings but by the stack of wood out for "seasoning". But you went for bonus points with the green gondola. That's exactly where I shot it. Is the green gondola still there? the green gondola was there a few days ago. Well, I did not think of San Trovaso, because on usual pictures it is mostly shown with the church side in the background, where it is surrounded by much lower buildings, like this. 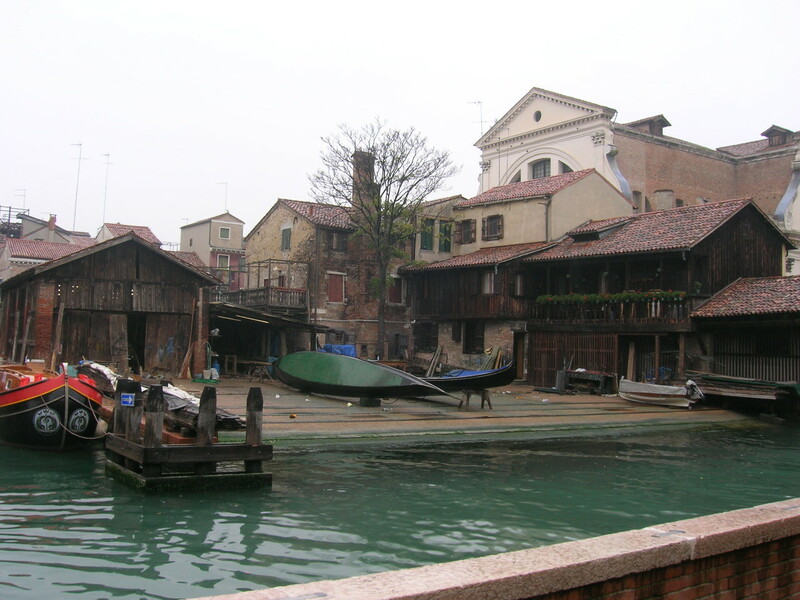 Also there are three squeros in Dorsudoro and two in Giudecca (or at least there were in year 2000) so theoretically there could be several places in Venice with wood in storage. I was thinking maybe Dai Rossi, since you blogged a while ago that you had a great reception there. BTW, I think you have to wait until the green gondola ripes to yellow or red, before picking it 8-). Maybe it belongs to Popeye or an irish man?